Recently I received an unexpected present – one skein of 100 % silk yarn. It had 420 yards (384 meters) per 120 meters. It was quite expensive and the yellow hue was very rare to find in other yarn shops. Either I had to combine my silk with another fiber and colour (burgundy looked very nice with it and my favorite bronze yarn was a nice supplement to it) or use it for a small project. For crocheting even such a small top I would need at least 520 meters of 4 ply yarn (130 gram totally). 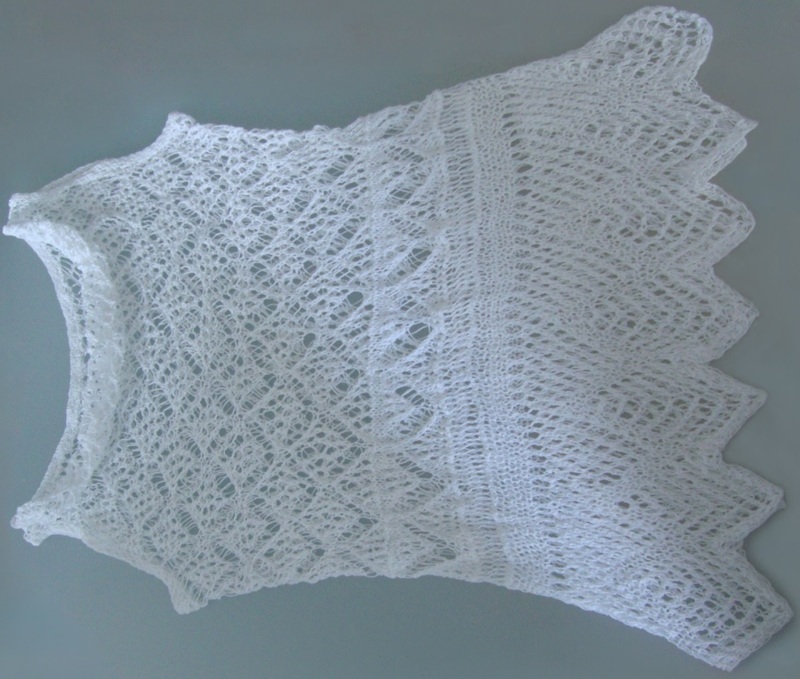 So I decided to knit a small top. I could wear it either over my burgundy dress or with lilac jeans. All other stitches (empty squares) you work in garter stitch. This way you will have reversible, ridged fabric. 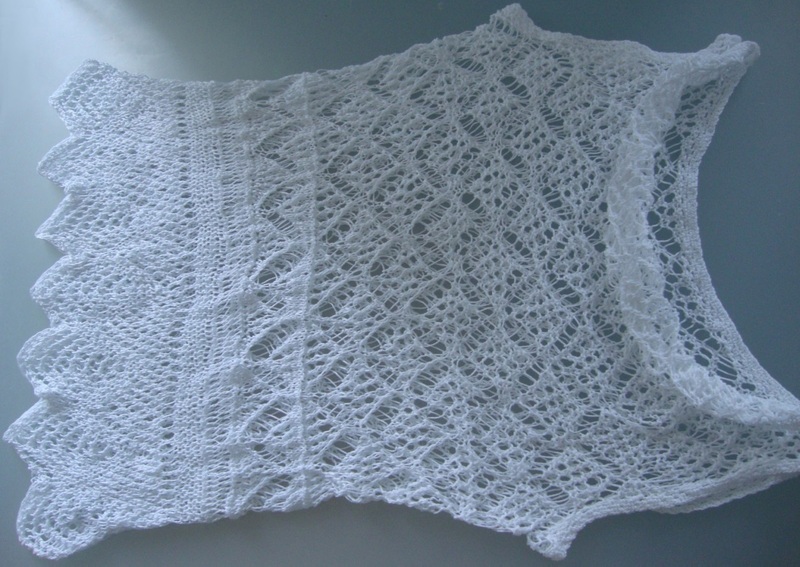 At first knit edge pattern that will be placed over your waist. 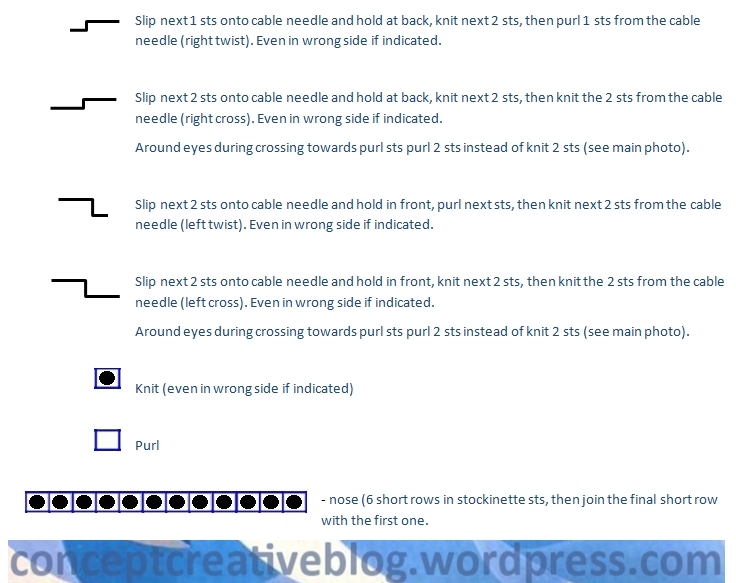 For any size cast on 13 with a piece of scrap yarn, then attach main yarn and follow this chart starting from row 1. Gauge: the width of 13 stitches = 5 cm/2”. Knit in both wrong and right sides and make y.o. in rows 1-16 and in row 18 (in row 17 knit every stitch). Repeat rows 1-18 until the length of the panel reaches your bust circumference without any ease. Though this panel will be placed at your waist level you need to be able to pull it over your bust. For size medium I have worked 10 motifs of the edge panel, but you might need to repeat more motifs depending on your gauge. Then sew first row with last one to make a loop: place both ends of the panel flat, with sewing needle and main yarn join every stitch made in 1st row with respective stitch in last row, make sure all stitches are connected and then remove scrap yarn. Work over one side of this loop – place 18 knit stitches over each edge pattern (2 stitches in every row). In my size I had 180 stitches over 10 motifs. Knit upwards in rounds following the below chart. Start from 1st row, increase 2 y.o. in each motif in 1st and 2nd so that you have 24 stitches in 3rd row in each motif. Then work straight in rounds. Either work knit stitches only, but after completing one row on the right side turn to knit in the opposite direction on the wrong side (fix first and last stitches to prevent a hole). Work right side only (in rounds or spirals) but after completing row with knit stitches work next row with purl stitches. I used the 2nd variant. 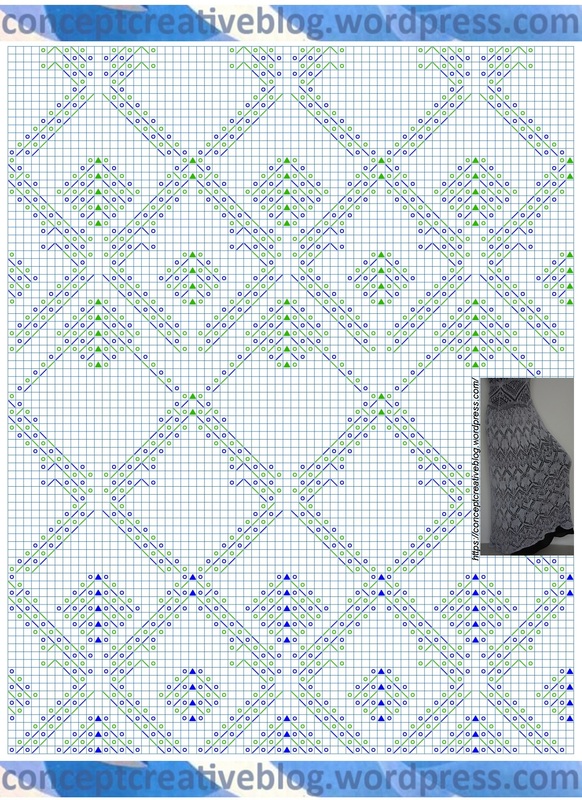 Eight rows prior to the final row in this chart skip for the armholes – place your work on a surface, mark the sides. In my size I have skipped one “solid” section of 9 knit sts. Then work front and back separately, decreasing 5 stitches in each row. After completing last row of this chart work row of single crochet stitches along the armholes, slip stitches in front and back to prevent stretching of your top. Make straps – in my top I have chained for the necessary length and worked single crochet stitch into each chain. And then my yarn ended : )). But you might have more yarn and create wider straps. 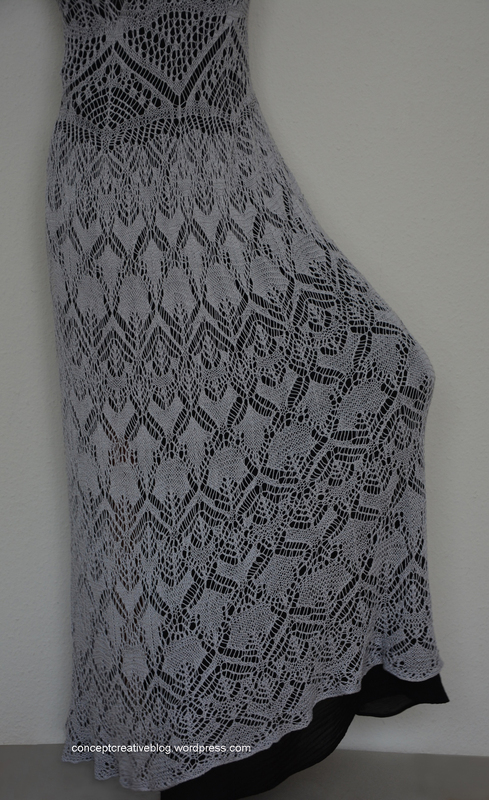 This dress is one of my longest projects – I’ve started it somewhere in September 2013 because I wanted to make a knit dress with geometric lace pattern. Well, somehow the process was moving not very fast. Maybe because of winter, maybe because I lost interest. 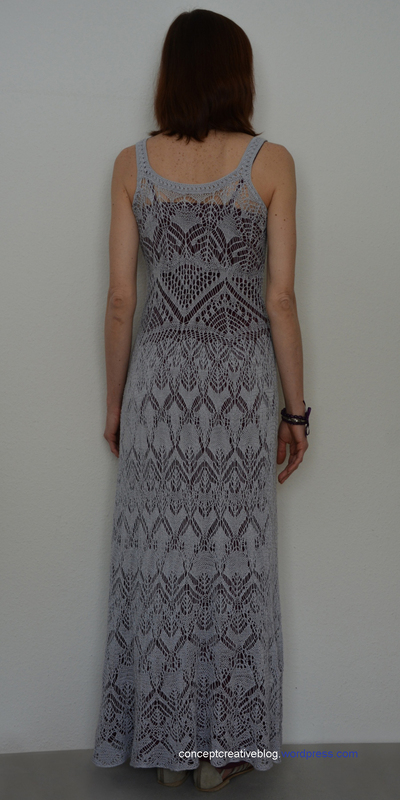 I knit this dress in rounds. The part that is now between bust and waist (approx. 27 rows) was completed in 3-4 month : )). Too slow… In the meantime I crocheted lots of different garments and actually was thinking to undo all 27 rows. 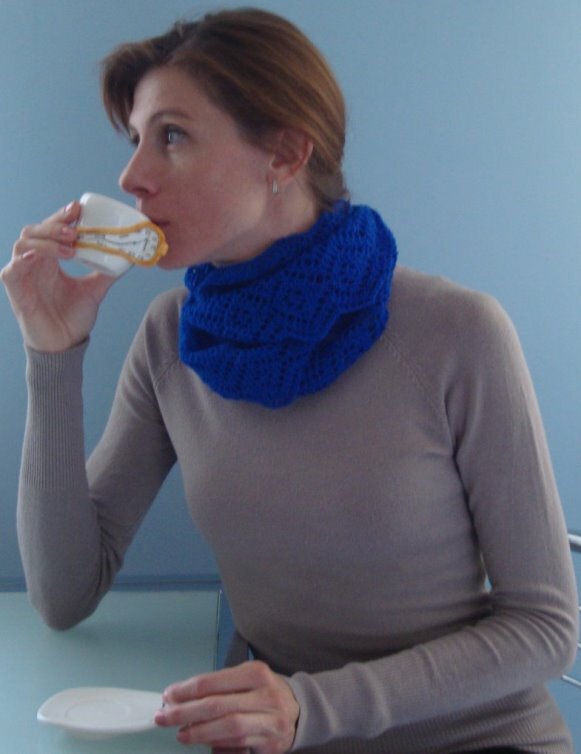 My friend said – oh, it was so beautiful, leave it, maybe someday you’ll return to this knit project. 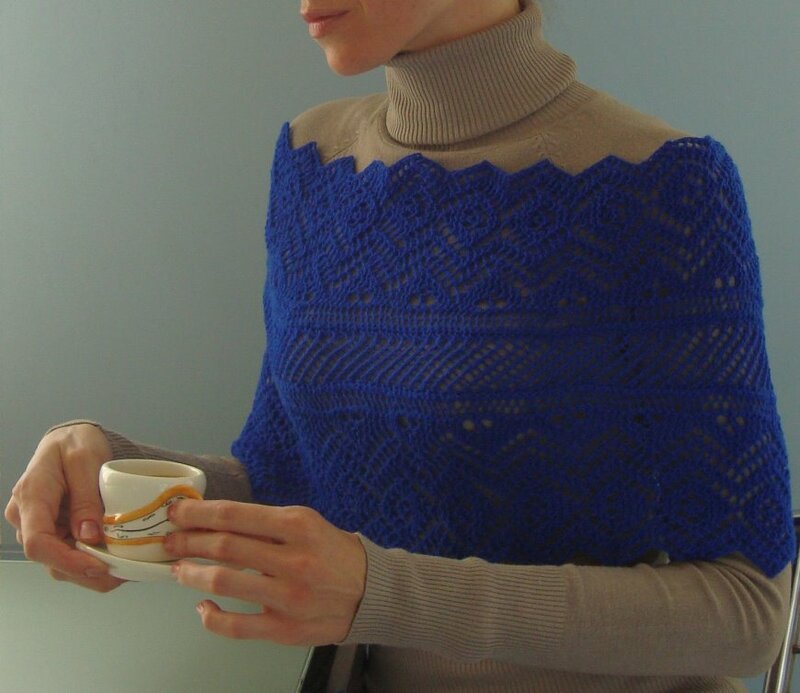 After some thinking I took another chart, started knitting upwards over completed part (now it is part over bust). Since I had more yarn that the lace dress was consuming I’ve changed the original chart, added more solid-looking rows and started knitting downwards under cast chains (now it’s skirt). Great thing that I used scrap yarn for casting! 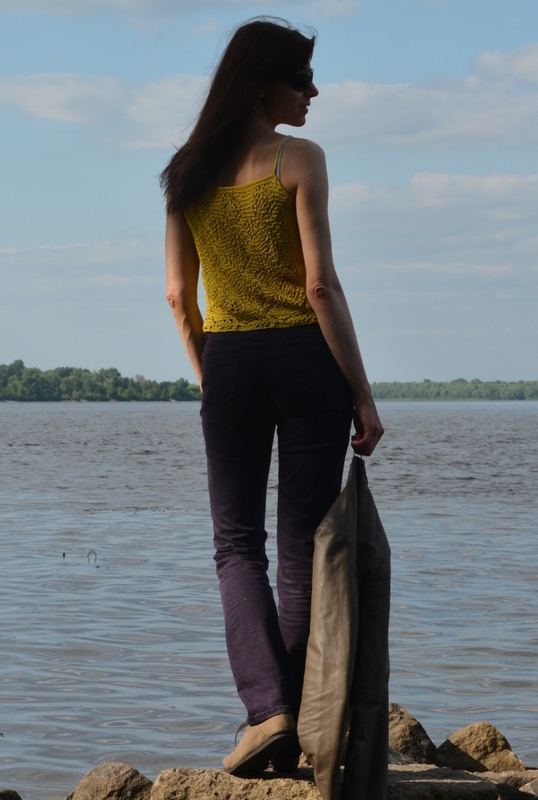 I decided to knit dress downwards until my yarn ends : )) – I had 1600 meters (1750 yards) of mixed yarn of bamboo/rayon/linen and did not want to have any left overs. Not because I didn’t love the yarn – it was fine, soft, with nice shine. I just think that the best project is the one I can use the amount of yarn I have for it : )). Without purchasing more or having lots of leftovers. The dark slip dresses are not meant for this dress – I wore them just to show the knit pattern. As for the rest of the charts – I made so many remarks in them that they look rather terrible : )). Top is just more “lighter version” of the skirt pattern. All other stitches (squares) you work in garter stitch. This way you will have reversible, ridged fabric.